Jessica Carlisle is pleased to be presenting her first exhibition with London-based artist, Sophie Charalambous. 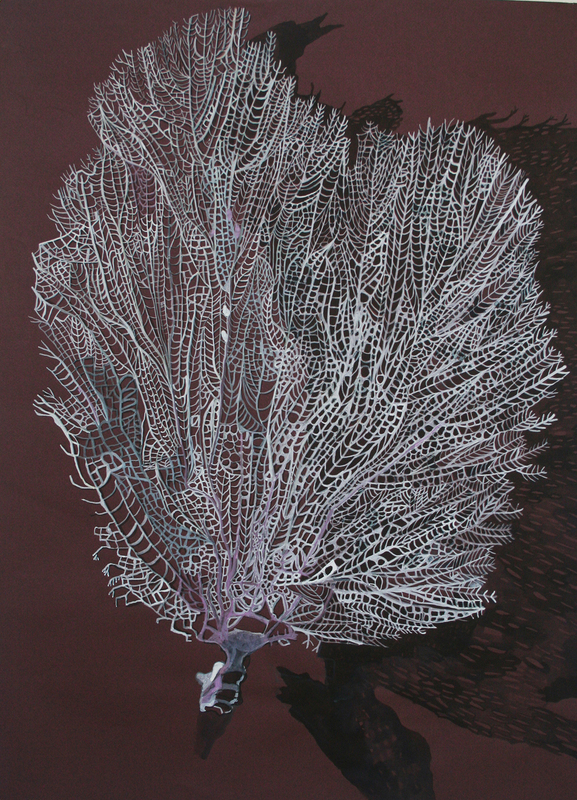 Charalambous’s practice focuses on large-scale drawing, worked from observation and imagination. It is immediately recognisable by its use of scratchy lines, inky washes, and the heavily textured paper the artist works on, often roughly torn and glued together into monumental collages. These highly detailed works have a distinctly theatrical air, with characters often dramatically lit within compositions reminiscent of the Elizabethan stage or model theatres. But though Charalambous’s works are peopled, they are not so much about people as they are about place; smoggy city streets, the “jittery, jumbled, broken ground” along the banks of the Thames, and wintry windows looking out at - or into - other people’s lives. 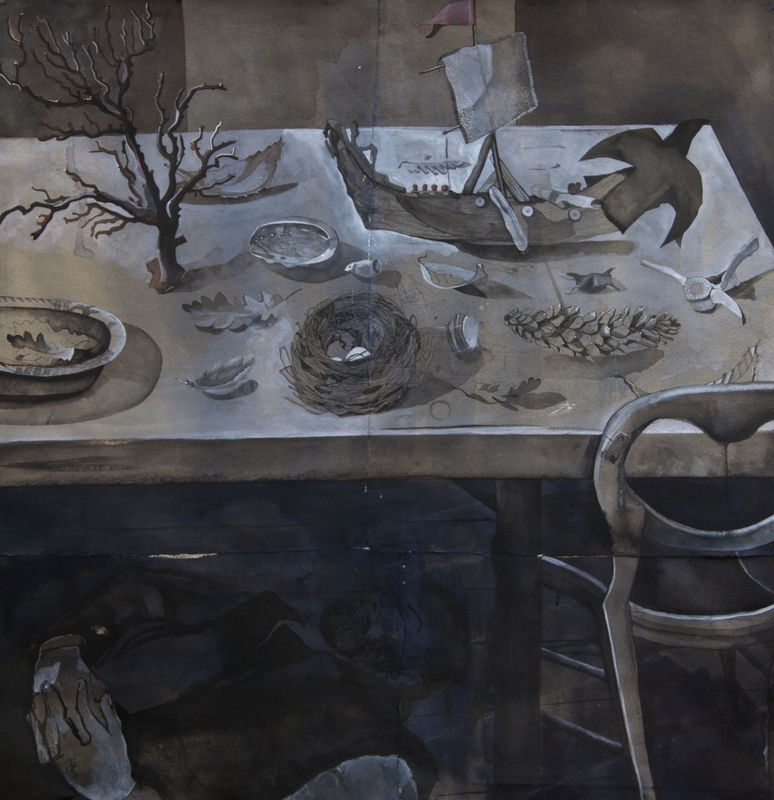 In this exhibition Charalambous explores the foreshore, that liminal place between land and water, past and present. For, standing on the detritus of centuries, one cannot but contemplate what has passed before. 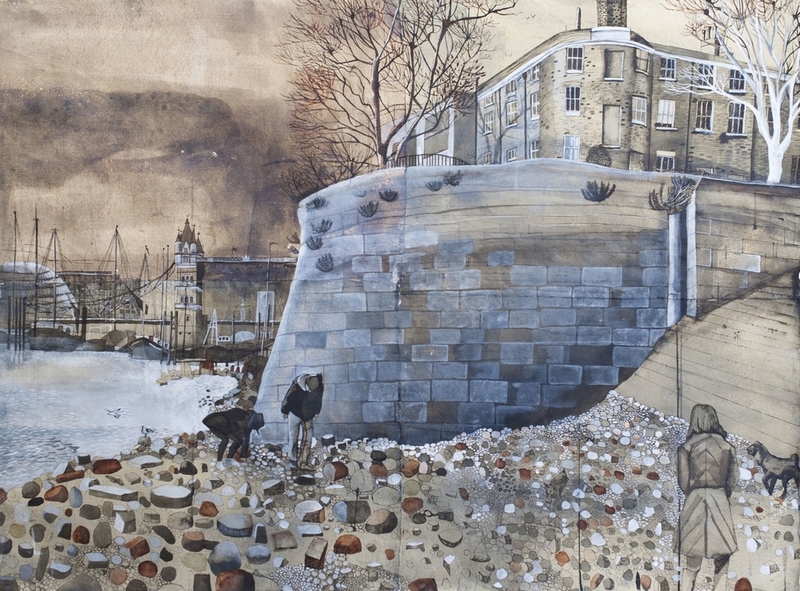 The river is a melancholic and brooding presence haunting these images, and the artist carries us along in its tide, through the flotsam and jetsam, past townhouses overlooking the water’s edge, to meet with mudlarkers and mysterious watermen. This poetic journey, rich with allusion, shows us the river not as a place of leisure and enjoyment, but as a place of mystery and darkness. Thus the foreshore becomes a boundary, a strange hinterland, an edge-land.